Har kommet i kontakt med to nye «slektninger», spennende. Begge har funnet felles familie på mitt slektstre hos Ancestry.com. / Have connected with two new "relatives", this is very exciting. Both found common family on my family tree at Ancestry.com. Connie en «slektning» der min oldefars kusine Ida C. Rood giftet seg inn i Hanson familien i Wisconsin. 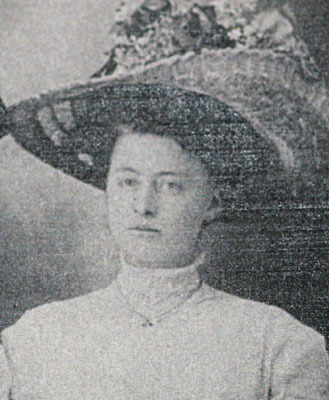 / Connie a "relativ" where my great grandfathers cousin Ida C. Rood married into the Hanson family from Wisconsin. Sharon, min oldemor, Gjertrud Kvames tante, Dorthea Kvames barnebarn. Dvs. at Sharon og min farfar er tremenninger. Jeg er femmenning med hennes barnebarn. / Sharon is my great grandmother, Gjertrud Kvame's aunt, Dorthea Kvame's granddaughter. Sharon is my grandfather, Adolf's 2nd cousin. I am 5th cousin to here grandchildren. Lukket slektside oppe igjen! / Genealogy site for members is up and running! Endelig har jeg fått ryddet opp i problemet, nå er den oppdatert til siste versjon 8.1.1. Trolig ikke mye forskjell for dere brukere. At last, the problem is solved. The site is updated to the latest version 8.1.1. Probably not many changes for the users. Hvem tror du at du er? / Who Do You Think You Are? Slektsprogrammet på TV har virkelig økt interresen for slektsforskning. Har faktisk fått flere henvendelser etter at programmet begynte på TV. Folk Googler slekta og får treff på mine slektssider på nettet. Veldig hyggelig å komme i kontakt med nye «slektninger». The Genealogy TV show has really boosted the interest for Genealogy. Have had several e-mails about family connections after they started sending the show. 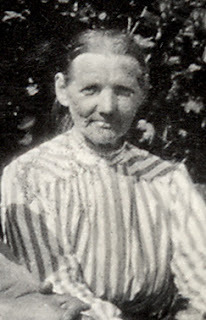 People are Google'ing there family and ancestors and gets hits on my websites. It is alway nice to get in contact with new "relatives". NRK - Hvem tror du at du er? NBC - Who do you think you are? 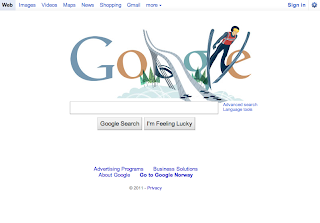 Google har en illustrasjon av Holmenkollen på forsiden i dag, for å feire åpningen av Ski-VM 2011. Google has an illustration of the Holmenkollen ski jump arena here in Oslo on it's front page, to celebrate the opening of the 2011 Ski World Championship. Lukket slektside nede! / Genealogy site for members is down! Har litt problemer etter oppdatering av software til databasen, håper å løse det raskt. Have some problems with a software update of my database, hopefully it will be solved quickly. Her aktivert flere felter for publisering. Nå vil Fødsel, Dåp, Konfirmasjon, Død, Begravet, Folketelling, Bopel og Alias vises på nettsiden. Have activated more fields for publication on my open genealogy site. It will now show Birth, Baptism, Confirmation, Death, Burial, Census, Residence and Alias. Link til åpen slektsside finner du til høyre. Link to public genealogy website is found on the right. Begge slektssidene er oppdatert. Har funnet mer i 1910-tellingen, samt lagt inn flere bilder fra kirkebøker på kilder. Har også lagt til og oppdatert Gjestvang familien etter innspill fra Bjørn H. Gjestvang. 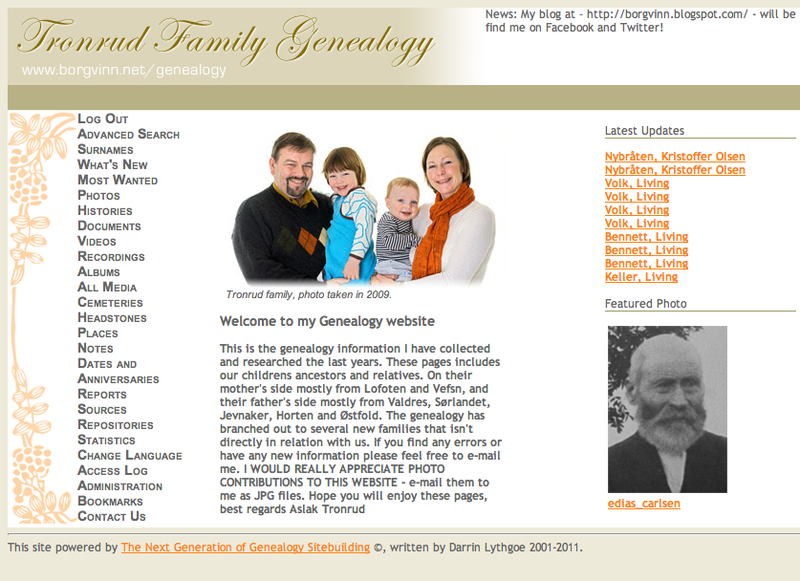 Both Genealogy websites is updated. Have added more info from the 1910 census both here in Norway and some on the US census. I am still adding images from churchbooks under sources. 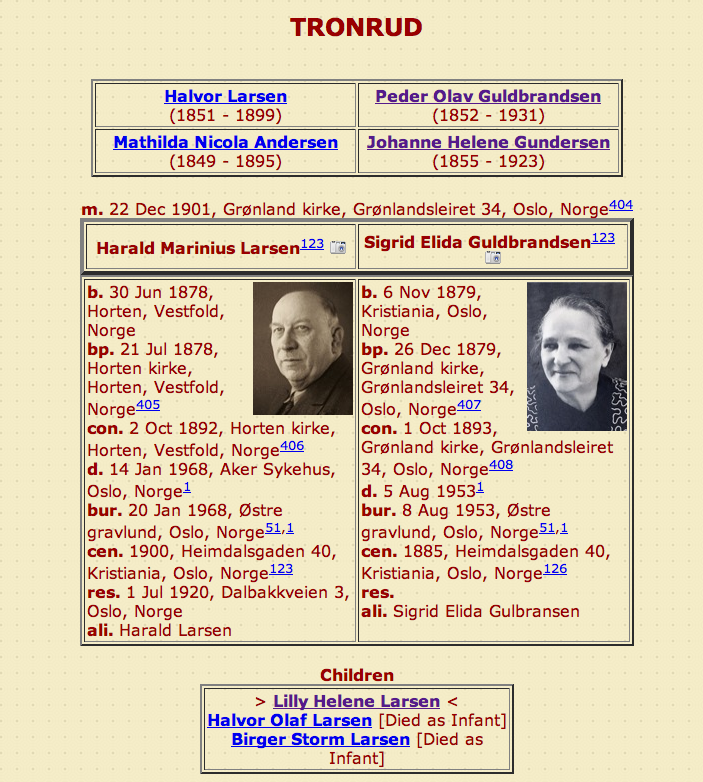 I have also updated and added people in the Gjestvang family after input from Bjørn H. Gjestvang. Du finner linker til slektssidene i menyen på høyre side. 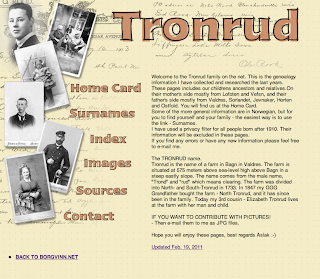 You will find the links to the genealogy websites in the menu on the right side of the blog. Et klipp fra NRK i 1983 om livet på yttersia av Moskenesøya, sist i klippet kommer Lindas grandonkel. I Kvalvika vokste Lindas farmor, Milla opp. A clip from NRK about the life on the outer side of Moskenes island in Lofoten. The clip is from 1983. It is not texted, sorry about that. At the end Linda's granduncle is interviewed. 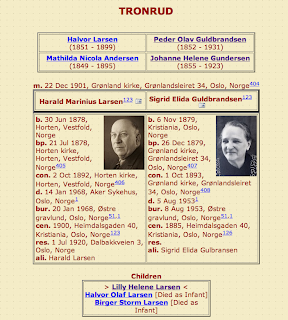 Lindas's grandmother on here fathers side grew up in Kvalvika. Har laget et sett med Opera bilder på Flickr, vil følge på med flere etter hvert. 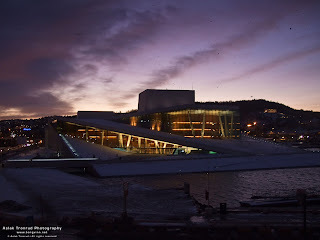 Made a new set on Flickr with Opera house images, will be updated as I shot more.